In today’s post, after much consideration and head scratching, we present our top 5 picks for the best free apps and games available to download for free and start playing right now. We must say with such a wide selection of mobile apps and games as we are very fortunate to enjoy these days, it’s no easy feat to pick just five best ones. But we have done all the digging, researching, and analyzing for you, our readers, so that you can jump into the action just with a few taps or swipes. Just a brief note: We only looked at late 2017-2018 releases (because who wants to read about old, tried, played,and cliché apps? ), the ones with at least 4.0 user rating, and those that are free to play (but may contain in-app purchases). In Run Gun Sports you travel the world competing in track and field championships: Barcelona, Atlanta, Osaka, Athens… But those are not usual competitions. This game gas revolutionized track and field competitions forever. You’ll be able to attachall kinds of guns to your legs—bazooka, shotgun, flame thrower—and shatterthe worldrecords in hurdles, high jumps, horizontal bars, and more. But be careful: Recoil from your gun legs can send you flying over the running track into the screaming spectators.This game will definitely kill a lot of your time! Puzzle games are classic time killers. And Toy Crush excels in keeping you entertained for hours and days.It’s both challenging and relaxing, and totally addictive, as the best of this genre must be. 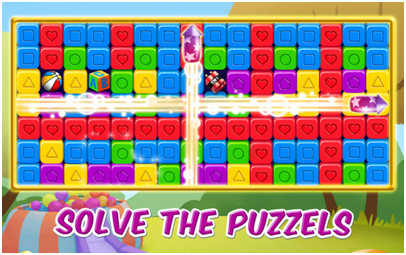 In this online board game, your job is to keep matching adjacent cubes of the same color to complete missions in over 800 levels. The great thing about this puzzle game: It’s fast-loading and levels are transitioning smoothly. 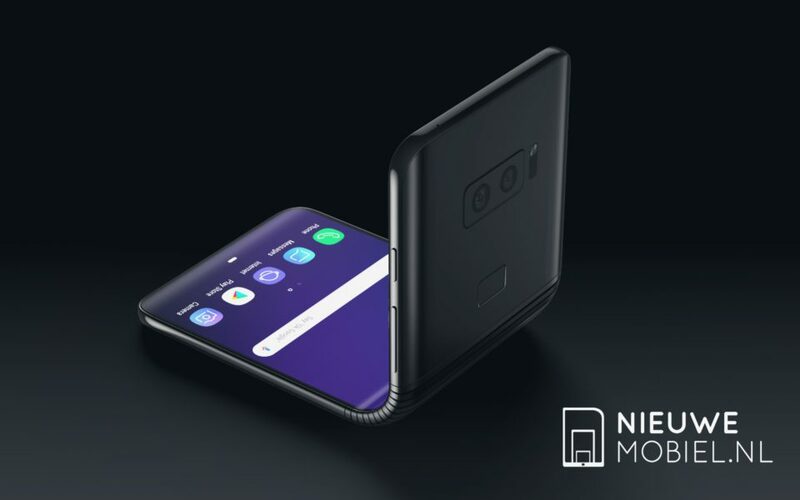 It is lightweight and won’t be eating your Android’s resources and it won’t lag. Our resolution: This game is pure enjoyment. And it will last virtually endlessly because there are no lives to lose as in other games! 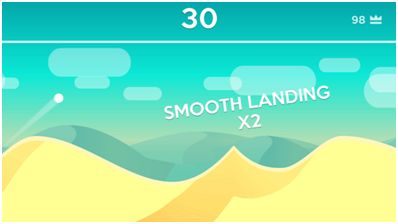 In this game you try to jump above the line to hit as high score as you can, but beware: the higher you get, the harder the landing will be! Try not to crash too hard. The graphics are awesome, and the many skins and landscapes add variety. The game gives away a feeling of being challenging but without seeming impossible. There’s only one thing we would want to see…a practice mode. It’s fairly satisfying to just play the normal game, but a mode that doesn’t record score would be much welcome. So that one could just sit back, relax, and surf the dunes without worrying to crash into anything and spoil the score. 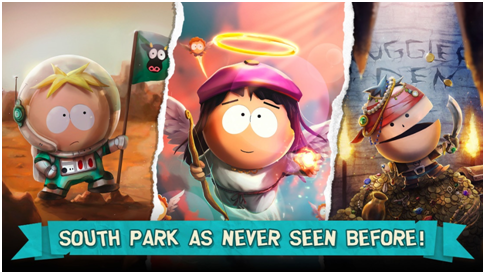 South Park: Phone Destroyer brings us the iconic South Park characters, action packed real-time strategy andPvP battles, trademark South Park humor, and collectible cards. All characters are voiced and everything looks and feels 100% South Park. While there are in-app purchases, it is totally possible to obtain the best cards, complete special events, and upgradeswithout spending a dime of real money.You receive a free pack of cards every 4 hours and it will allow an additional pack to build up. After every battle you win you can open 3 free lockers. Also every 4 hours you can earn a pack of cards by winning 3 PvP battles. The verdict: It’s totally worth your time. Who doesn’t like making cool videos? 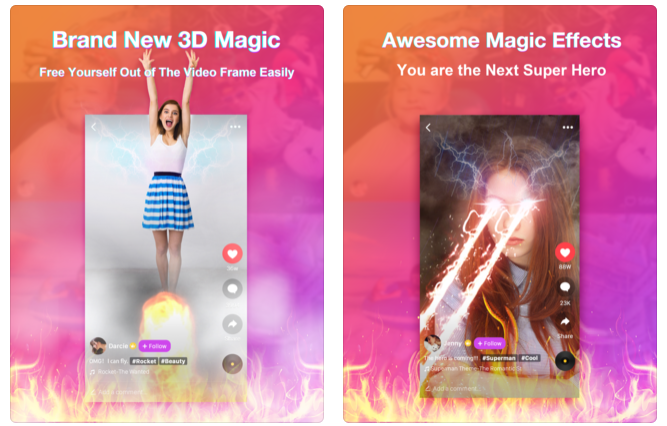 With LIKE it’s easy to be making videos and sharingthem with friends for hours on end. The app has a ton of great features like lip sync, 4D effects, musical effects, BOOM! cinematic effects, dialogue acting, dynamic stickers. 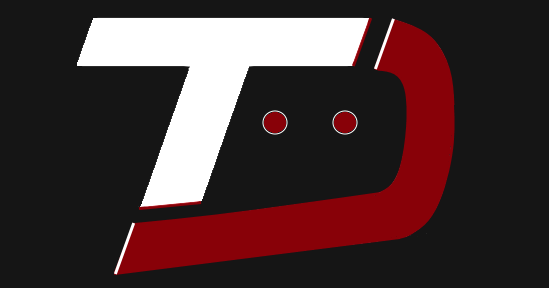 It has a growing community where you’lldiscover LIKE videos from other creators and maybe meet and make new friends from among the community. Although, mind that the app caps the amount of messages you can send to strangers and asks you to take a break, so remember this before writing a long message. All in all, this is a fun app, and now is about the perfect time to go have fun with it!